Here is a great chart I found. 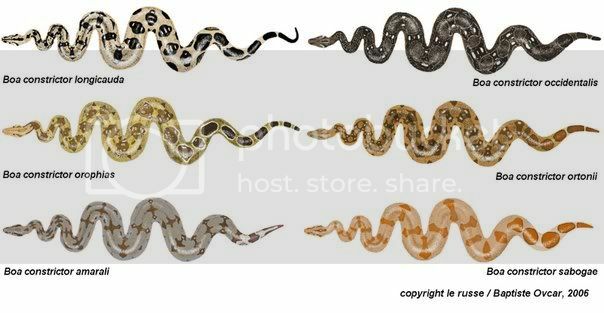 I personally prefer "true red tails" (bcc) over the bci, but there are also some nice bcis. I just thought I would post this for newer members. Last edited by Jay; 06-27-11 at 12:22 PM..
you might want to explain the chart alittle more. I as i would guess alot of people on here dont know all these scientific names lol. I like charts like this but i cant understand it. If you can't provide the facts and experience DON'T provide the criticism. I still don't get how its confusing ? I just made the image clear. 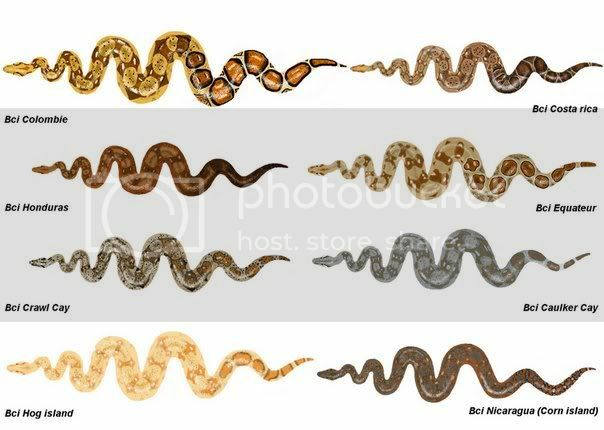 yea i understand the countries... and that most of them are ______ (country) Red Tail Boa. But there's alot im unfamiliar with like several on the bottom half. Guess i should have been more specific. I dont want you to feel like im being negative cause it was nice o see and i actually learned what i think to be one of my friends is now Orophias but like i said that name doesnt mean much to me.. Does it have a more common name? see you give us something and we all want more now! Awesome thats exactly what i was speaking of. I would have never known the "melanogaster" was a Ecudorian. 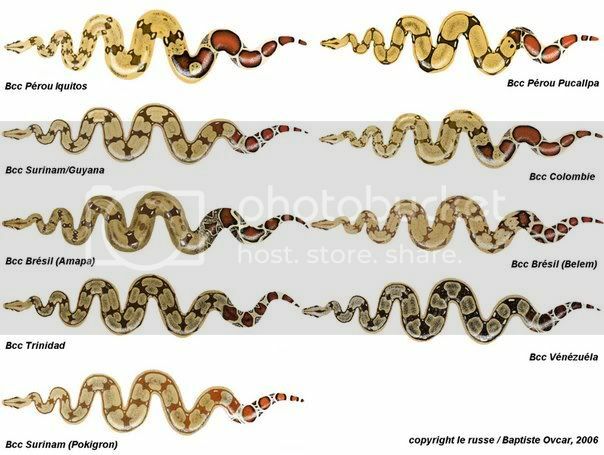 Usefull info especially for me cause ive always loved RTB's and they were the first snake i ever owned, for 10+ years. The Amarali's are from Bolivia, right? Or am I mistaken? As a non-boa guy that is extremely helpful!!! Thanks Jay - will save that chart for future reference! Ah, I see! So Bolivia and Brazil. Thanks for the info!